Magnetized Material Labels (IATA). Buy Securely Online! There are no restrictions or requirements when transporting magnetized material by ground or sea, but when magnets are transported by air they are regulated as dangerous goods. This is because the plane’s basic magnetic compass is still an important part of aircraft navigation and strong magnets, stored as cargo, may compromise the accuracy of the plane’s electronic equipment and compass readings. Magnetized Material Labels play an important role in the identification of such cargo. How is Magnetized material defined? 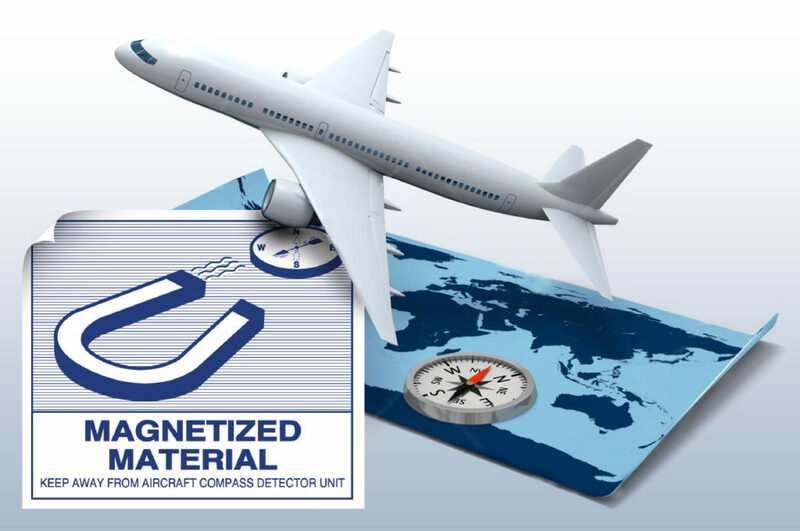 Magnetized material is defined in the IATA (International Air Transport Association) Dangerous Goods Regulations as ‘all material that when packaged for air transportation possesses a magnetic field force of 0.002 gauss or more, at a distance of 2.1 metres (7 feet) of any point of the surface of the consignment’. (2) produces a magnetic compass deflection of 2 degrees or less. The operator must package the magnetized material in such a way that minimizes its possible effects on a plane’s instruments. 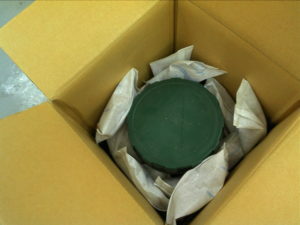 When packing magnets for transport, they should be padded with ample space between the magnetand the outside of the container in order to reduce the force of attraction; a magnet’s attractive strength drops very quickly with distance. 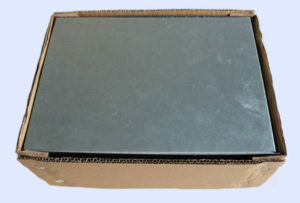 Magnets are also commonly shipped in steel-lined boxes to neutralise their strength. The shipper must make prior arrangements with the operator identifying the magnetized material and all packages containing magnetic materials must be clearly identified by means of a Magnetized Material Handling Label. 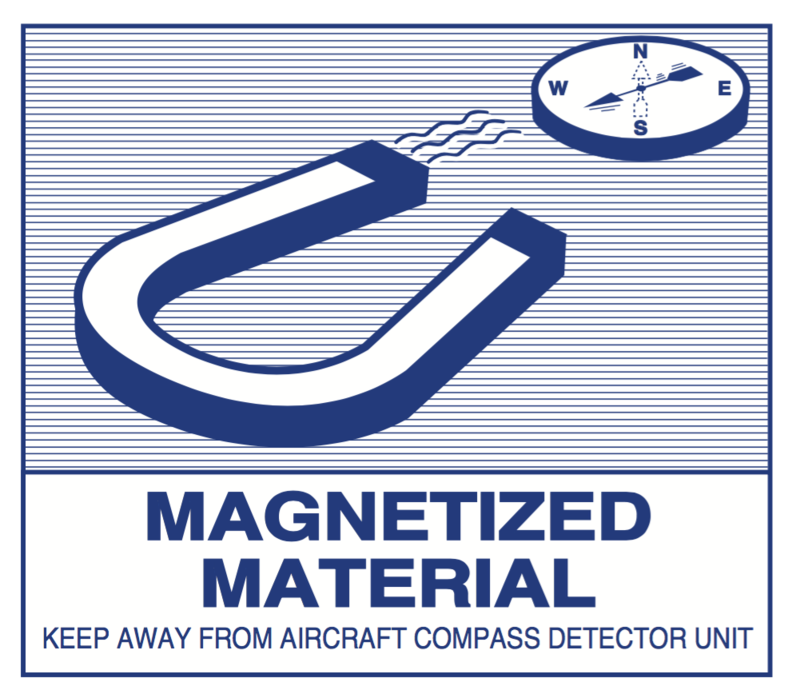 Magnetized Material labels inform the cargo handler that the load must be kept away from the aircraft compass detector unit during the loading and transit process. The handling label must be as shown in the IATA Dangerous Goods Regulations (see above) and must be a minimum size of 110x90mm. The colour of the label must be Pantone Blue 285 on a white background.